Last year was the first time I had one in full-time Kindergarten and one in his first year of morning Preschool. That left my youngest (15 months old at the time) with some much needed mommy time all to himself. 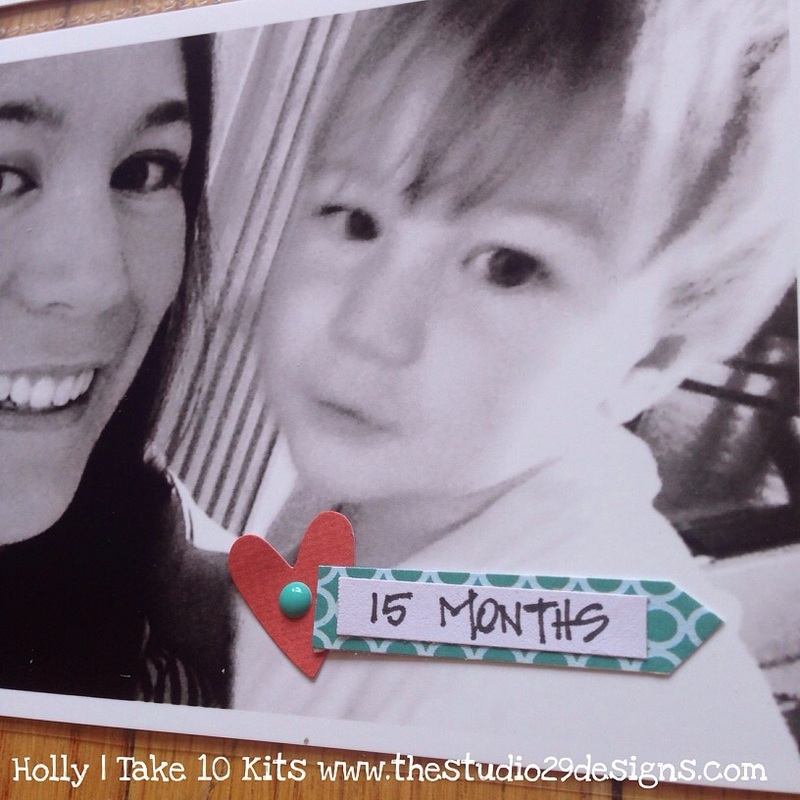 The September Take 10 Kit is spectacular for this month. The colors! The designs! 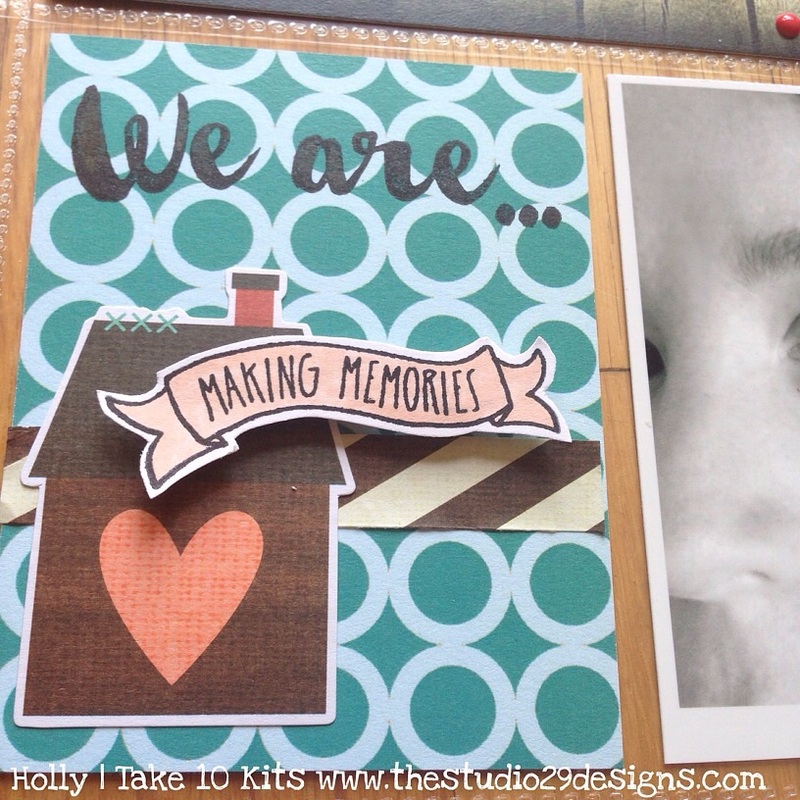 I just love the look of this title card and it was perfect for my page theme. I added a heart from the glam bag with a pop dot to give some dimension and those glossy red enamel dots! The cut-apart sheets are so genius! I love making little labels with them that coordinate. Got your nose! 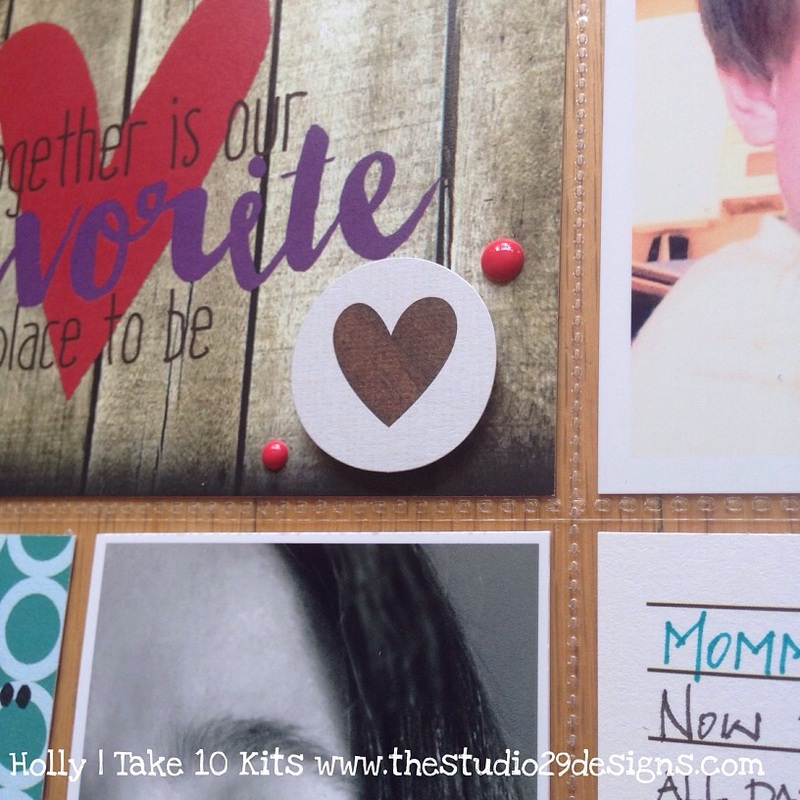 The Washi "cards" in the kit are so convenient! They include little strips the same width as your journal cards. I put two together with a "pop-dotted" piece here. 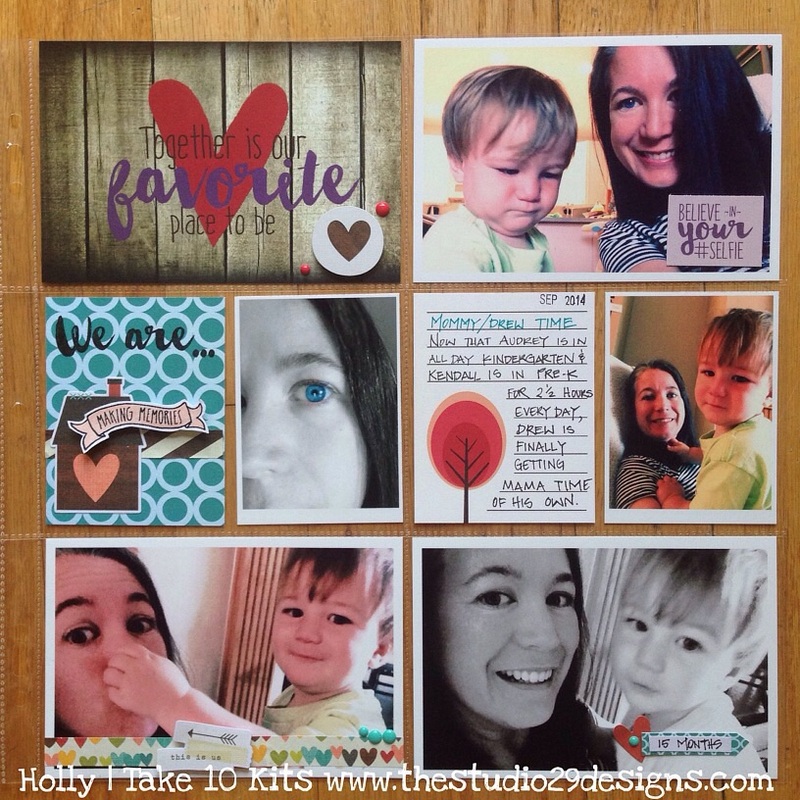 On the filler card, I used one of the new stamp sets. The little banner (again, another pop dot!) was made with the stamp, colored in with marker and fussy cut (didn't take long). 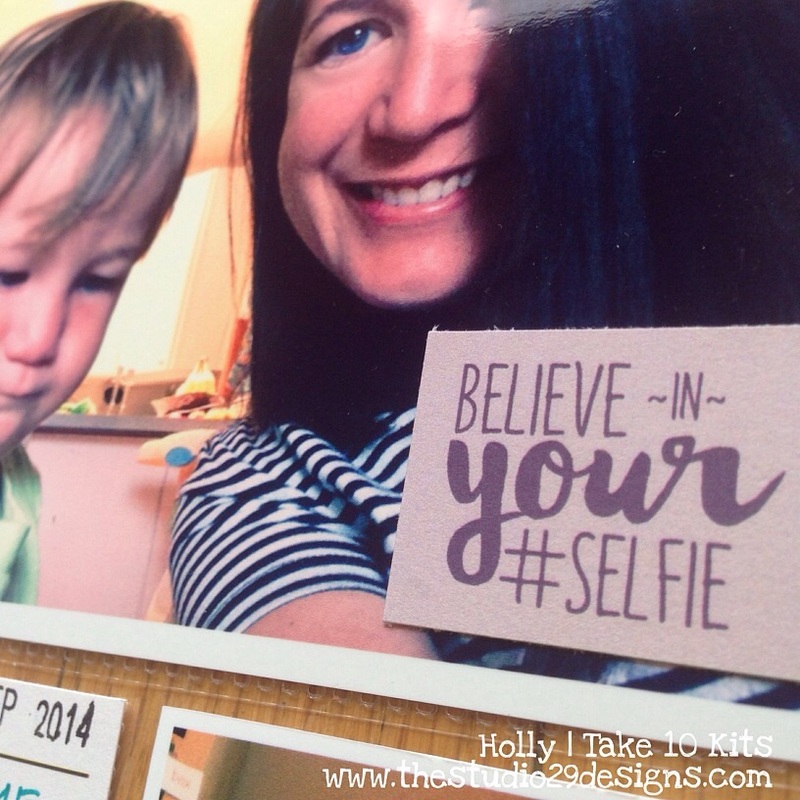 I loved this little saying in the cut-apart sheet - Believe in Your #Selfie. 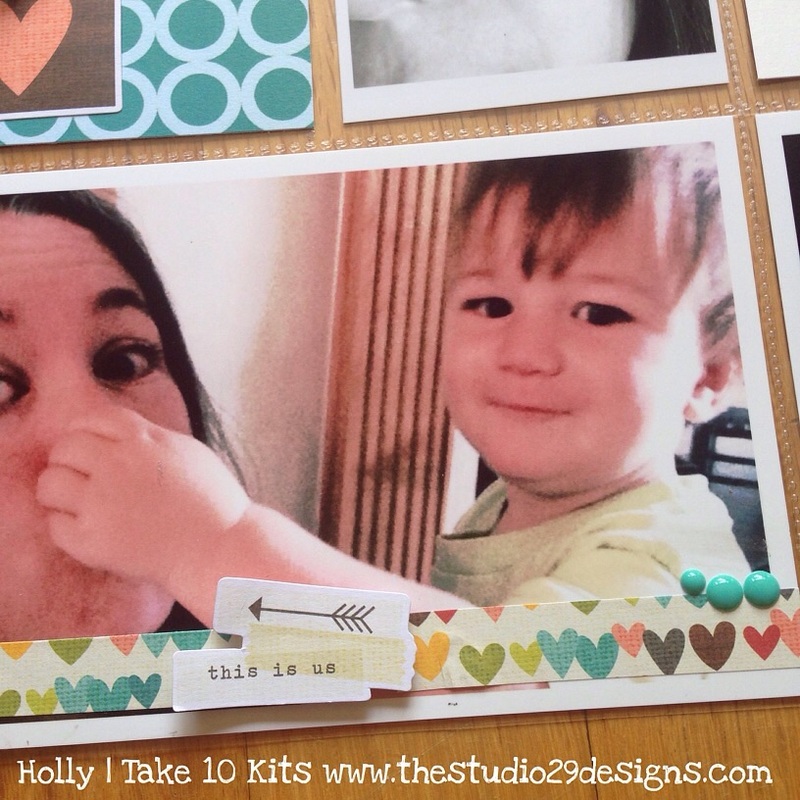 I get an A+ for selfies in this layout! I don't think I've ever put myself in a single layout more than I did in this one.